Howdy!! Did you miss me? It was weird being gone for a week. We ended up bringing two cats back with us on the plane, have you ever flown with cats before? It was interesting for sure…lol. Figured I would get in a Thursday Things post since it is Thursday and all! 🙂 For those of you that are new to the whole thing, every Thursday I try and list things that I liked about the past week. You know, thinking positively and all.. I will get right into it! A food item that I love is yet again from Trader Joe’s, but do you blame me? Crumpets!! I love that they have cinnamon on top already. I looovvvee cinnamon! Put them in the toaster and put just a dab of butter on top with more cinnamon…gah…I need to go get more!! And sheesh, I really feel like a broken record now. 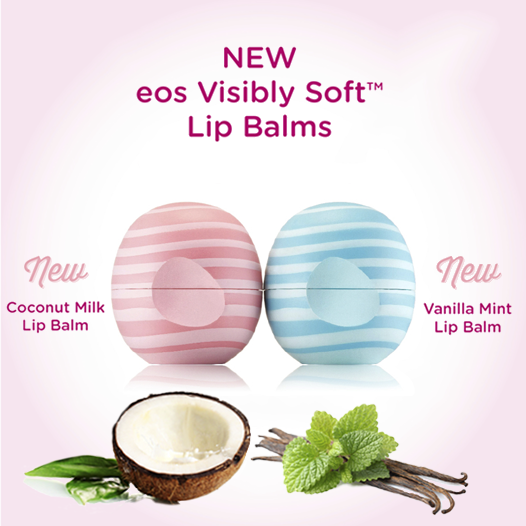 But eos has come out with a new lip flavor. It is coconut milk. I looked for it everywhere! I finally ordered one off of Amazon. And when I was in AZ, my sister in law was at Ulta and happened across a ton of them! I don’t know if it was just that I didn’t look in the right places here, or if they just haven’t come to NC all that much yet, but anyway, she bought me another one while she was there.. Yay! After I got mine on Amazon, I saw later that they were going for $10+ each! That is crazy! So, I am happy that I have two of them now, lol.